Combining the islands of Sulawesi and Halmahera into a single tour is a natural. They lie on opposite sides of the very deep trench that separates the Oriental affinities of species on Sulawesi from the Australasian species found on Halmahera. Moreover, other deep trenches separate Sulawesi from the Philippines and Borneo. The result is a very high rate of endemism. Sulawesi features 117 endemic or near endemic species while Halmahera features 49 endemic and near endemic species. 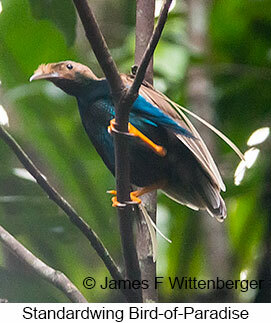 Of all these endemics, only 3 are found on both islands. Our tour begins at the Makasasar airport in southern Sulawesi. The group is met there and transfers to the small town of Malino. Next morning is spent hiking a trail up Lompobattang Mountain in search of our first Sulawesi endemicsincluding the very localized Lompobattang Flycatcher. After returning to Makassar for an overnight stay, two nearby forest remnants are visited the next morning. Then the group flies to Palu for an overnight stay in Lore Lindu National Park. Five nights are spent in a guesthouse there. 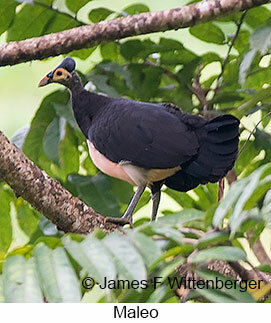 During our stay birding will be concentrated on the famed Anaso Track as well as Lake Tambing, the Sedoa and Selivu Valleys. The last afternoon features a visit to the Oloboju Riverbottom to seek out two species of buttonquails. The group will then fly to Manado via Makassar for 3 nights in Kotamobagu. The days there will be devoted to visiting the Tambun Maleo Reserve, some roadside birding, and a forest remnant near Toraut. From there the tour continues to Gunung Ambang Nature Reserve, Gunung Mahawu, and Tangkoko National Park. The latter features superb birding in dry forest and is especially good for several new endemics. Then the group will fly from Manado to Kao on the island of Halmahera followed by transfer to the village of Wasile for a 4-night stay. Birding on Halmahera will feature a visit to a Standardwing Bird-of-Paradise lek as well as roadside birding at several altitudes to pick up as many Halmahera endemics as possible. The last night will be spent at a hotel in Tobelo. That evening an excursion out to some mudflats near Galela should produce good sightings of Moluccan Scrubfowl. The following morning the group will transfer back to Kao for a return flight to Manado and end of the tour.